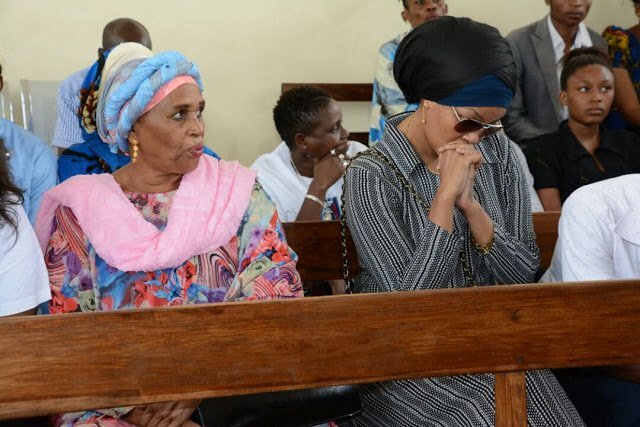 Former Miss Tanzania, and Diamond Platnumz ex-girlfriend Wema Sepetu was on Friday sentenced to one year in jail for possession and abuse of drugs. The Kisutu Resident Magistrate’s Court in Dar Es Salaam ruled that Wema was to be sentenced to one year of prison or pay a fine of TSh. 2,000,000 [KSh. 87, 676] for the two crimes. Justice Thomas Simba gave Wema the sentence while allowing her co- accused, Ms Angelina Msigwa and Matrida Abbas to walk away scot- free after they were found innocent of any wrong doing. The three were found in possession of rolls of bhang at Kunduchi Ununio, Tanzania. On Friday morning, Wema posted on her instagram praying that Allah may make it easy for her and not difficult. She escaped jail sentence after paying the fine.